Personal Details Born April 11, 1975. Swiss and French citizen. Domiciled Pilehøj 2C, st, 3460 Birkerød, Denmark, cell phone +45 2070 7336. 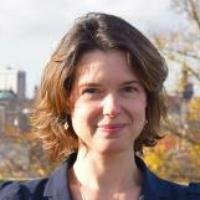 Currently employed as an Assistant Professor at the Faculty of Law of Copenhagen University, Sylvie Cavaleri is a Swiss and Danish qualified attorney, specialized in international commercial dispute resolution and international contract law, with a special focus on construction law; she holds a PhD from the University of Copenhagen. Before starting her academic career in 2009, Sylvie worked for two of Switzerland's most reputable business law firms for a total of six years and then joined a Danish bank in 2006 where she worked within the fields of banking law and international contract law for two and a half years. After the completion of her PhD thesis in 2013 and in parallel with her academic activities, Sylvie worked as a legal counsel for the international contractor MT Højgaard in Søborg between October 2013 and June 2014. Education PhD, Copenhagen University (2013); Admitted to the Danish bar (2008); Admitted to the Geneva bar (2002); Lic.iur (Master’s law degree), Universities of Geneva and Bern (1999); Certificate in Transnational Law (Duke University) (1999). Qualifications and Past Experience Assistant Professor, Copenhagen University, Faculty of Law, Centre for Enterprise Liability (2014-2018); Legal Counsel, MT Højgård (2013-2014); Research Assistant, Copenhagen University, Faculty of Law, Centre for Enterprise Liability (2013-2014);PhD Fellow, Copenhagen University, Faculty of Law, Centre for Enterprise Liability (2009-2013); Senior Legal Consultant, Saxo Bank A/S (2006-2008); Associate, Lalive, Geneva (2003-2006); Assistant Attorney, Schellenberg Wittmer, Geneva and Zurich (2000-2002); Assistant Attorney, Public Prosecutor’s Office, Geneva (2000). Selected Publications International Construction Disputes in Denmark,  ICLR 39 (article). Construction Disputes in Denmark : the Case of Concurrent Delay (2015) 31 Const. L.J., Issue 2, p. 57 -68 (article). Concurrent Delay in Construction Disputes, Werlauff Publishing, 2015 (book – PhD thesis). Switzerland in Jacob C. Jørgensen (editor), Delay Clauses in International Construction Contracts, Kluwer Law International, 2010, p. 267-305 (book chapter). Academic Activities From 2009 to current: research and teaching at Copenhagen University, Faculty of Law, Centre for Enterprise Liability. Research in the fields of construction law, dispute resolution and comparative law. Teaching in the fields of private international law, international sales law, Danish law of obligations and (from Spring 2017) international construction law. My ICLA-Philosophy In spite of the increasing internationalization of the construction sector, most construction law professionals in the broad sense have retained a largely national focus, especially in Scandinavia which is by definition, because of its geographical situation, very insular. This results in challenges at several levels. In practice, contractors and other industry actors, when required by employers to base their tenders on international forms of contract such as FIDIC, underestimate or do not fully understand the issues posed by submitting a contract originating from the common law family to the national rules of a civil law country. In academia, many universities only offer courses in national construction law, leaving students unprepared for the assignments they will be given when working at, for instance, contractors or design professionals active on international markets and their legal advisors. I see this narrow national or Nordic focus as an problem which I would like to contribute to solving. I was trained in two Swiss law firms with extensive practice in international contracts and dispute resolution, where I acquired a legal international mindedness, which was reinforced when I qualified as a Danish attorney. Later on, I carried that mindset further in my research, by writing a PhD thesis based on the comparative legal method, a postdoc project analyzing the issues raised by the combination of a standard form based on common law and the (mandatory) rules of a background law from another legal family, and by developing a course in international construction law which I will teach for the first time in the spring of 2017. My engagement in the ICLA is the natural continuation of my intentions and initiatives to date to encourage the dialogue between different legal families on the specific area of construction law, and I look very much forward to learning about the legal systems I do not yet know from expert and esteemed colleagues.